The management, delivery, and control of documents are critical to any business. Every day companies receive and generate incredible amounts of information – proposals, HR documents, financial reports, purchase orders, contracts, quality documents, engineering drawings, forms, announcements, e-mails – the list goes on and on. Over 90% of this information is stored on paper and electronic documents. Organizations can’t create and deliver business value without proactively managing the documents that support their business. What’s more, documents must not only be intelligently moved throughout an organization to support day-to-day business activities, but they must also be secured and controlled, end-to-end, to protect corporate assets and avoid litigation later. 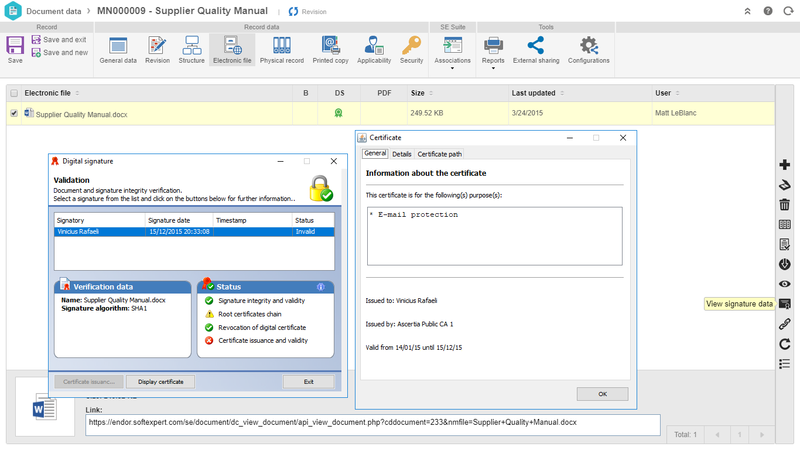 SoftExpert Document enables organizations to effectively and efficiently automate management of electronic and paper-based documents throughout their entire life cycle – capture, create, classify, share and secure, archive and destroy. Any authorized person – employees, customers, vendors or partners – can manage and work on the documents safely and securely anytime and anywhere in the world. SoftExpert Document is a Document Management software that meaningfully improves communication and teamwork across departments and functional areas helping in organizing, managing and keeping track of documents so anyone can find them when needed. SoftExpert Document also minimizes risks and costs associated with a growing number of regulatory compliance and corporate governance processes such as those related to the ISO 9000 – Quality Guidelines,Sarbanes-Oxley, FDA 21CFR Part 11 – Electronic Record Keeping, Good Manufacturing Practices, ISO 45001, ISO 14000, and others. 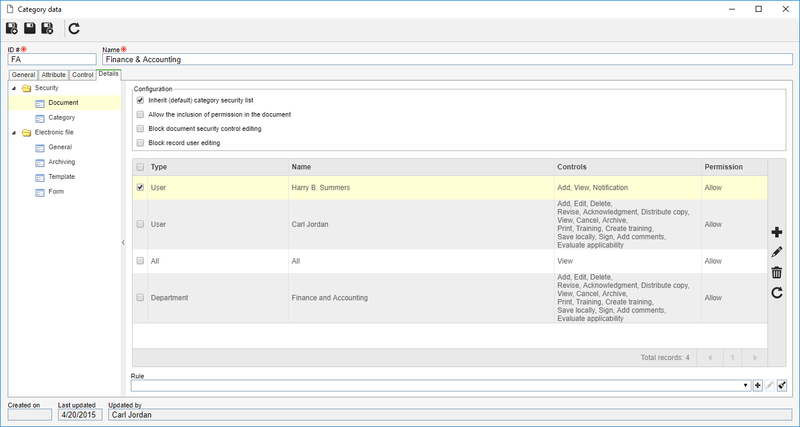 Integrates corporate CRM and ERP data with stored content. Digital Signature and timestamp fully compliant with regulations and standards. 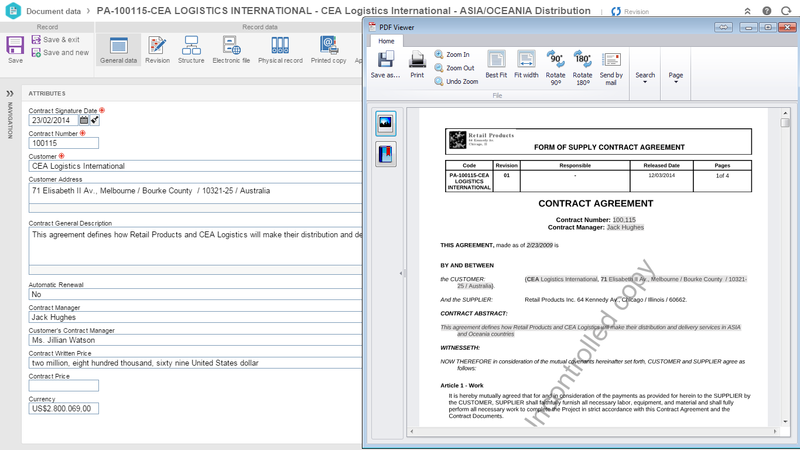 Apps for online and offline document viewing, compatible with Windows and Android devices (Check supported versions). 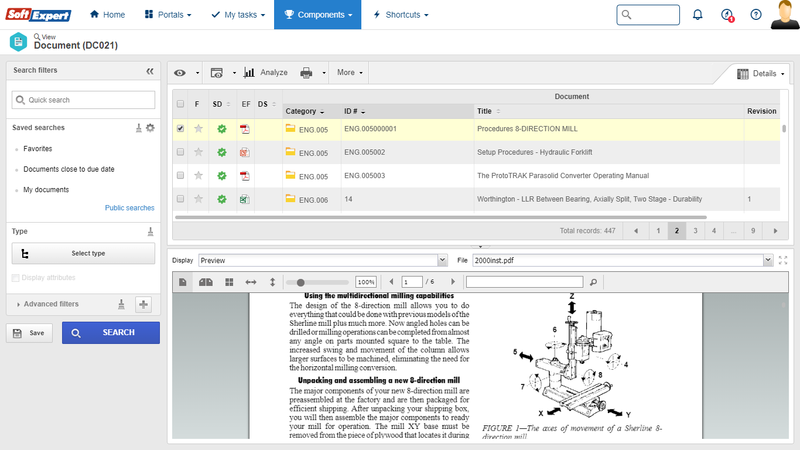 Document viewer capable of viewing multiple documents. Native support for all image formats, CAD files and Office documents. Retention schedules to satisfy complex requirements from state and federal laws to internal policies. Structured retention mechanisms establishing consistent, automated processes for retaining required documents and destroying expired documents.